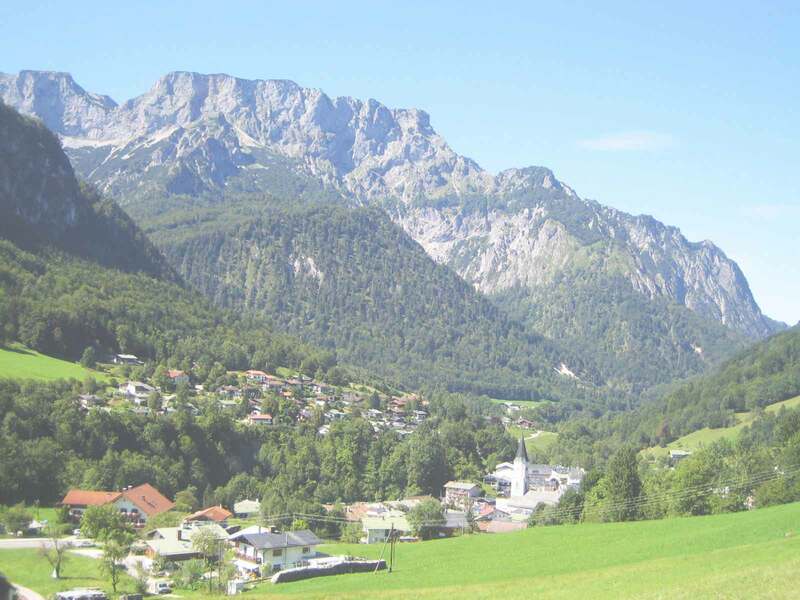 Holiday flat Hartmann | Holiday flat "Kehlstein"
From this 75 square metres great apartment you have a wonderful look over the picturesque mountainous village, which is framed by an over-whelming mountain range. The southern balcony you can reach over the lovingly equipped sitting-room. 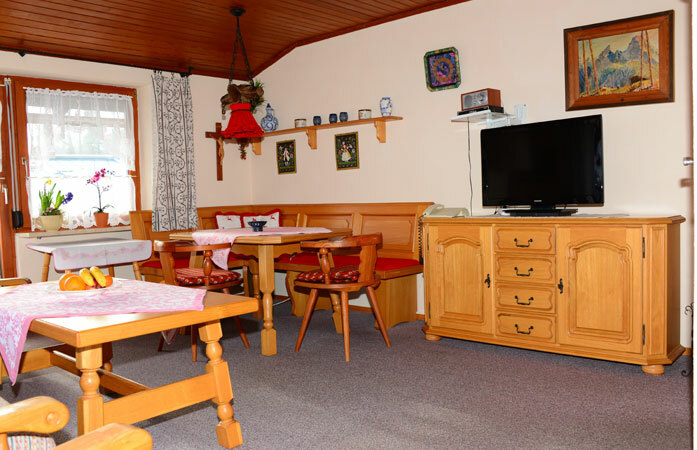 SAT-TV and the fully automatic working dial system belongs just to the equipment as föhn, electric iron and ironing-board, balance and a built-in kitchen with microwave, water-cooker, coffee percolator and toaster. 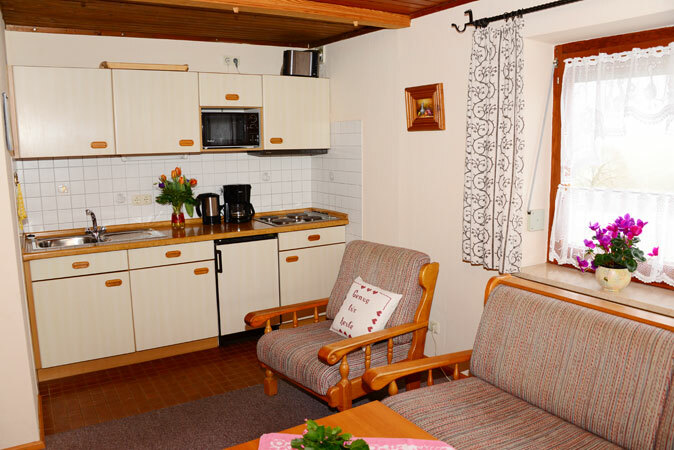 Our house is also provided wIth Wireless LAN. 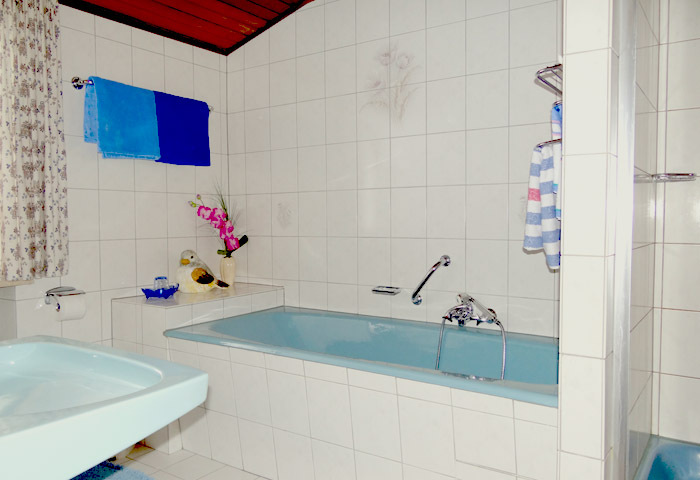 The apartment is equipped with a shower, a bath-tub as well as with two toilets. 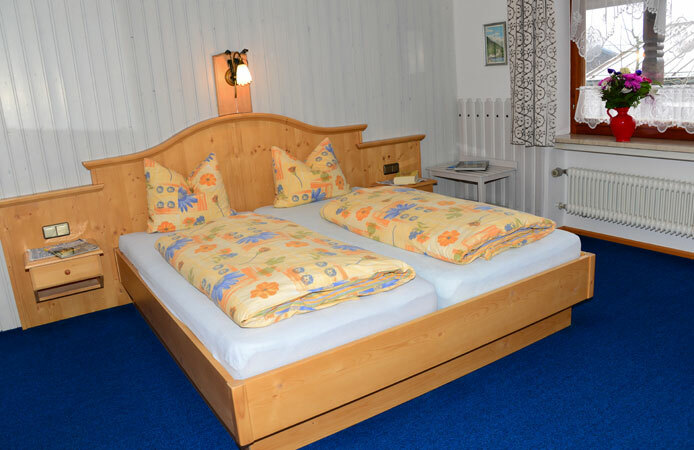 The holiday flat has also two separate bedrooms. 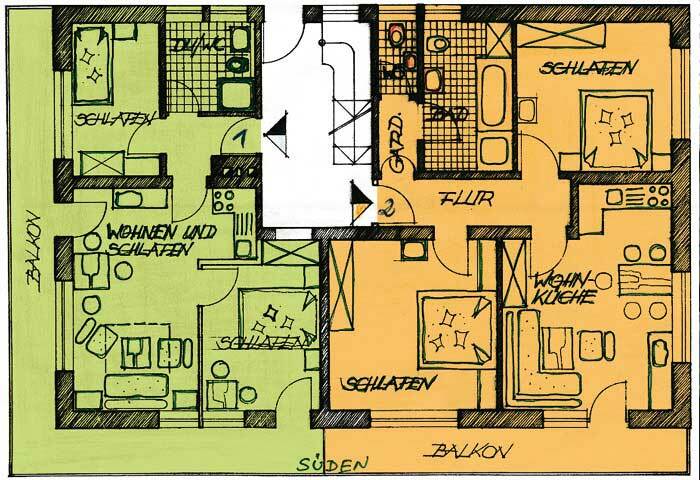 Please take notice of the apartment's layout!